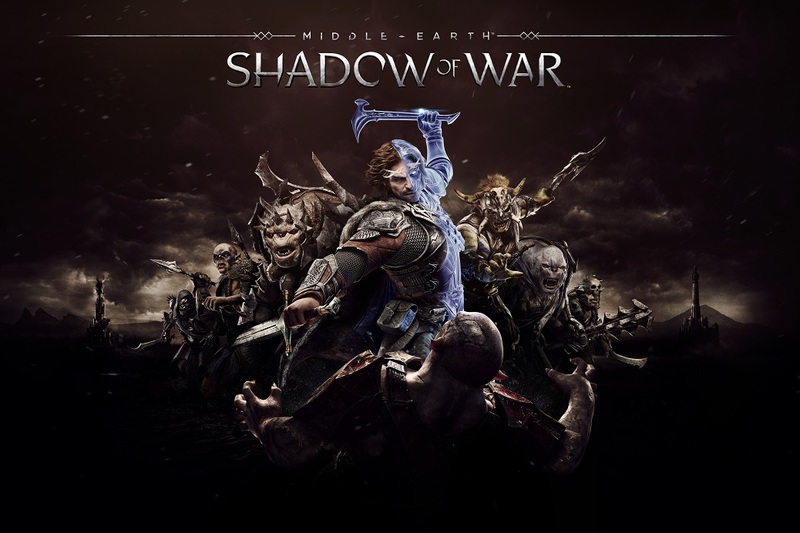 Middle-earth: Shadow of War Competition Winners Revealed! That’s it! The final sequence has started rolling and the credits are appearing. Game officially over. But this is where for you… the game can finally begin! 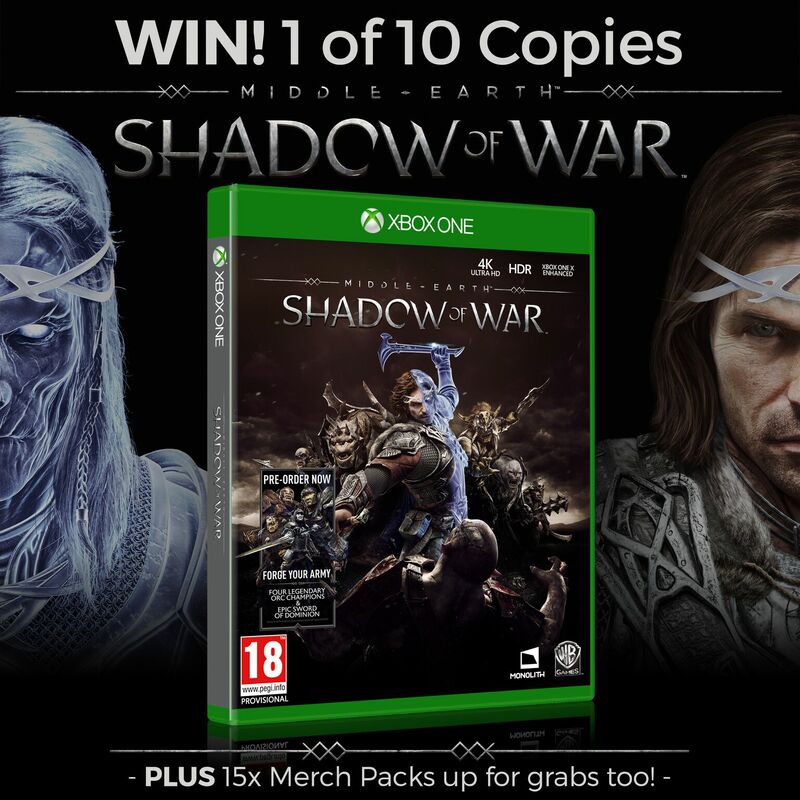 Over the last few weeks, we’ve been giving you guys the chance to win some amazing goodies from the great people at Warner Bros. As huge gamers, we simply had to press X and jumper at the chance to giveaway some goodies to celebrate the release of the amazing Middle-earth: Shadow of War. So what was up for grabs? 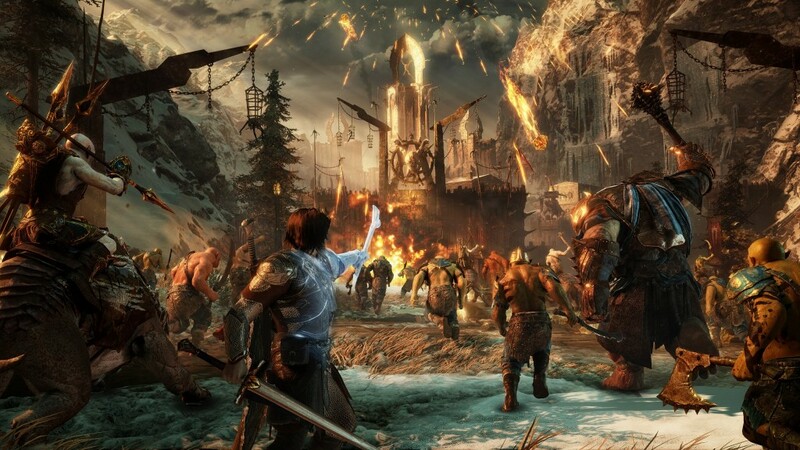 We managed to get our hands on a whopping ten copies… yes TEN of the long-awaited Middle-earth: Shadow of War for Xbox One, as well as a whole host Shadow of Was goodies including, TShirts, Bottle Openers, Notepads and Keyrings! 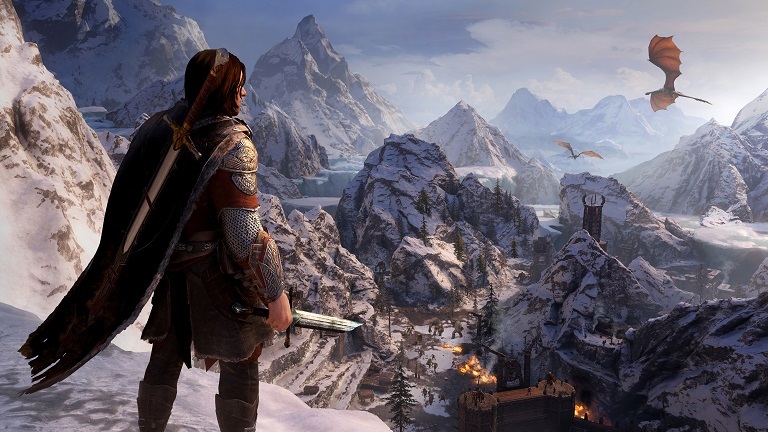 Middle-earth: Shadow of War™ is the sequel to the hugely popular and critically-acclaimed Middle-earth: Shadow of Mordor™ which picked up more than a whopping 50 industry awards. Promising to be all kinds of awesome, we’re so glad we get the chance to really treat you guys to something this darn cool. Speaking of which! Let’s reveal our lucky winners! Congrats to our lucky winners! We will get in touch with you ASAP to share the good news and arrange delivery. Huge thank you to everyone who entered. Hopefully you had as much fun as we did. Didn’t win? Panic not! 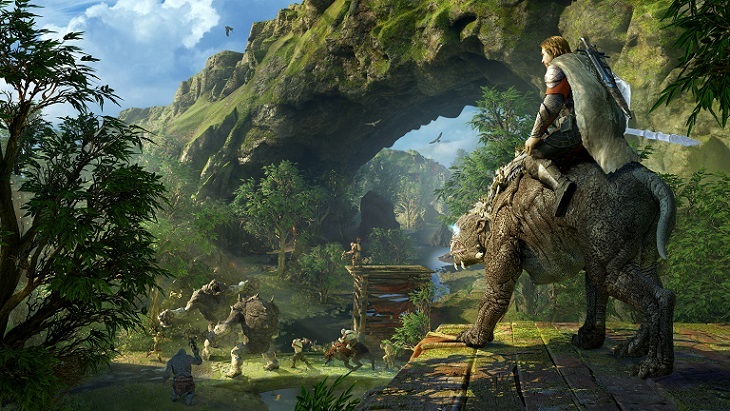 Middle-earth: Shadow of War is now available to buy and we sure as heck recommend you do! Stay tuned for many more comps to come guys and gals. Competition time! Fun house, a whole lot of fun, prizes to be won…. Ooooh how we love a good old fashioned (kinda) competition… and getting to combine a comp with one of our favourite TV shows EVER is just an opportunity not to be missed! If the title hasn’t given it away already, we’re giving away some fab TruffleShuffle exclusive Fun House goodies featuring the iconic Pat Sharp and The Twins Melanie and Martina, AKA The Fun House dream team! You might have spotted over cyber space recently that Fun House is looking to make a come back! Best news ever right?! Well this dream could well become a reality if the team and get all the necessary funding needed to build and produce the show. To do this, our hero Pat Sharp and the gang have created a Indiegogo page where fans can pledge funds to help bring it back to life. Every penny counts and by backing this cause you can make it a a reality and help to re-run the fun FOR REAL! Bring Back Fun House! from glen.m@me.com on Vimeo. Up for grabs we’ve got not one, but TWO TruffleShuffle exclusive Classic Fun House TShirts which will be winging their way to two lucky winners. Each winner will be able to pick either a ladies or men’s style and their choice of size. We’re running this competition through the power of Twitter this time folks. To enter, simply head over to our Twitter page and retweet the competition post of do this directly using the tweet below. The competition will close at 4pm 20/07/17 sharp so be quick peeps! The two lucky winners (team Red and team Yellow you could say) will be chosen completely at random using our nifty system and we will announce them and contact them shorty after. Get stuck in peeps…. it’s time to rerun the fun! 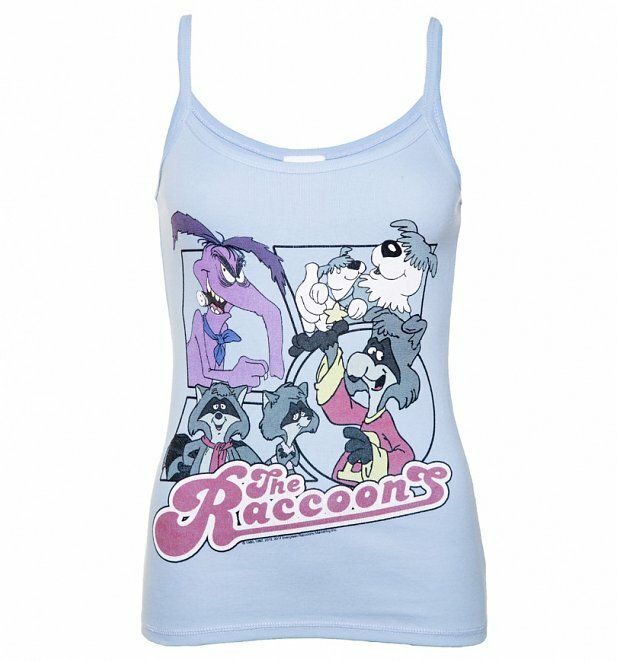 Our Lucky Raccoons Competition Winner Is REVEALED! That’s it folks! It’s allll over but hopefully you all had some fun and at least got to check out our amazing interview with Mr Raccoons himself Kevin Gillis! 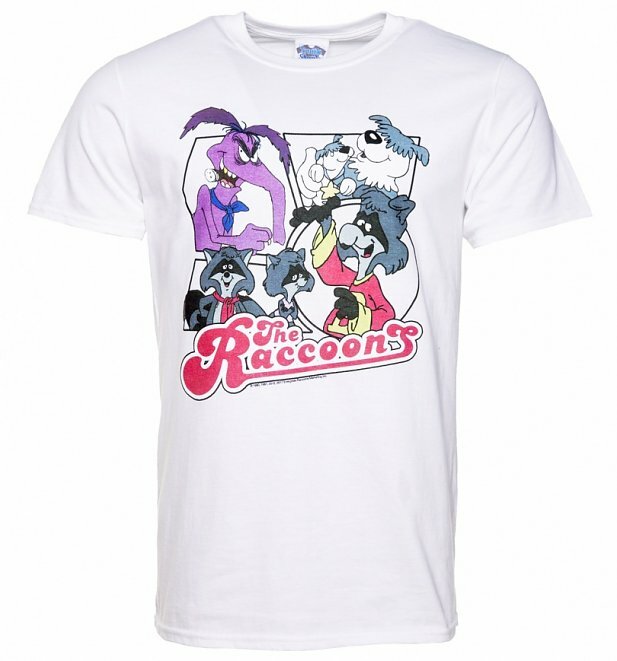 As some of the biggest The Raccoons fans in the land, we always after some new and exciting designs to call our own which is why we snapped up the chance to create some exclusive new Raccoons TShirts… which is what we’ve just done! Inspired by the classic characters we all know and love, our latest comic style designs are some of our best yet and are sure to hit the right mark with any ran of this retro classic. Take a peep! So what’s it all been for? 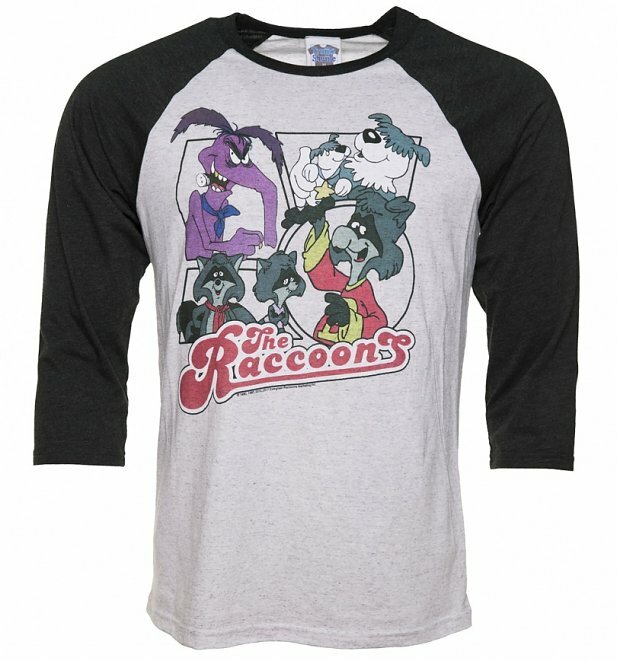 To celebrate in true TruffleShuffle style, we thought we could give you guys the chance to bag some amazing Raccoons goodies which we managed to get signed by Kevin just to sweeten the deal. 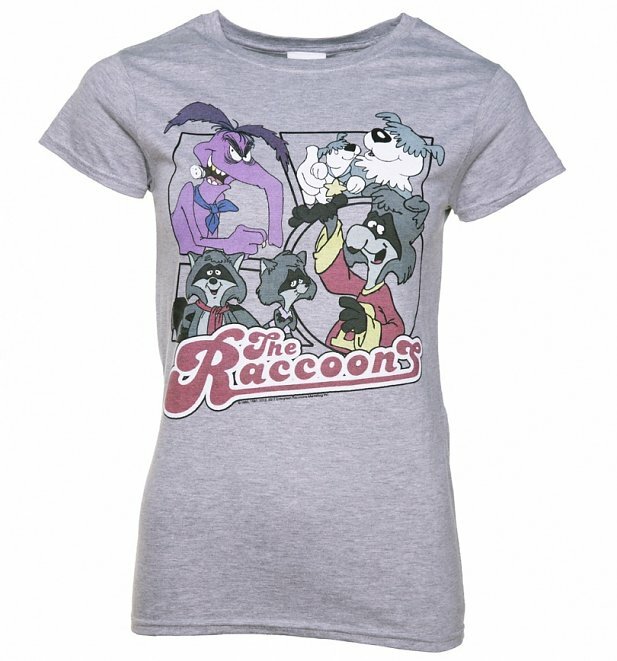 Up for grabs we had an exclusive TruffleShuffle Raccoons TShirt, season one and season two of the Raccoons on DVD and a helping of Raccoons badges to help decorate you or you home with! How are our lucky winners chosen? Our competition was run through Gleam who have collected all the various entries and added them into a big competition hat of sorts. Their nifty system then picks out a winner completely at random! Easy huh. We will be contacting you shortly to arrange delivery of your winnings. Huge thanks again to everyone who entered but weren’t so lucky this time. Stay tuned for plenty more competitions to come either on our blog, Facebook Page, Twitter or Instagram.